Summer has arrived with the hottest temperatures ever recorded in Seoul. Therefore, you might consider refreshing places when planning an itinerary for this summer vacation. In Switzerland, located on the ridge of the Alps, you will find many mountains with cool breezes and rivers. All the destinations recommended below will provide useful information about the mountains of Switzerland and how to cool off from the heat summer on 2018. Everyone needs to recharge and a summer in Switzerland can invigorate anyone. Mount Stanserhorn is located near Stans station. It takes approximately 25 minutes from Luzern Bahnhof with Schweizerische Bundesbahnen (SBB). It is 1,898 meters high and to reach to the top of the mountain, you have to take a cable car called the CabriO. The CabriO is the world's first cable car with a roofless upper deck. From the cable car, you can see panoramic views of the other Switzerland Mountains as well as breathe in the fresh mountain air. Make sure you have a boarding pass with you; there are timetables of the boarding times for you to choose from at the CabriO Ticket Office. Meanwhile, if you have Swiss Pass, your transportation to Mount Stanserhorn is free. Mount Rigi is located near Rigi Kulm Station. There are two most common ways to reach to this station, which takes approximately one and a half hours. One way is to pass through Viznau and the other way is through Weggis. 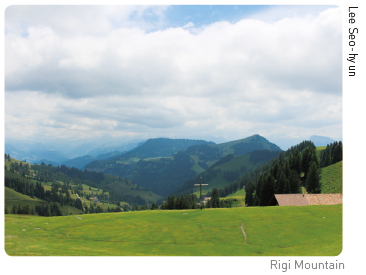 If you take a steamboat or ship to Viznau, then you can take the Viznau-Rigi Bahn (VRB) railway to Rigi Kulm station. On the other hand, if you take a steamboat or ship to Weggis, you can take the ropeway to Rigi Laltbad station and finally take the VRB from Rigi Laltbad to reach Rigi Kulm station. Both ways are enjoyable, so if you choose one way to go up, you can select the other way to go down. Mount Rigi is one of the most popular mountains to visit near Luzern and it is also known as the Queen of the Mountains. Rising to 1,797 meters above sea level, Rigi Kulm is the summit of Mount Rigi. Transportation to Mount Rigi is free with a 2018 Swiss Pass. 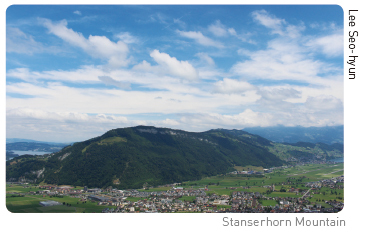 To reach the top of Mount First, it is convenient to take a railway from Interlaken Ost or Interlaken West. From there you can reach to the Grindelwald by Bernese Oberland Railway. After arriving at the Grindelwald, you can walk to the Grindelwald BGF and then take a cable car to reach Mount First. This will take approximately one hour, and the mountain is 2,168 meters. 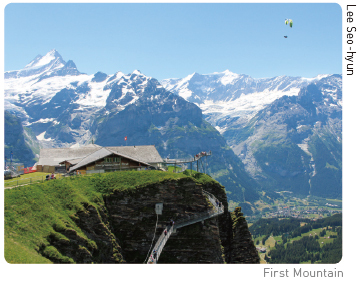 Mount First is located in Interlaken and has four different adventure packages to enjoy. These four packages include the First Flyer, the First Glider, the Mountain Cart, and the Trottibike Scooter. The prices differ based on how many activities you choose to experience, but if you choose to do these activities the gondola lift can be used without limitation. The First Flyer and First Glider are activities you can enjoy in Schreckfeld. The Mountain Cart will take you down from Schreckfeld to Bort. Lastly, the Trottibike can be used to skim down the mountain from Bort to Grindelwald. 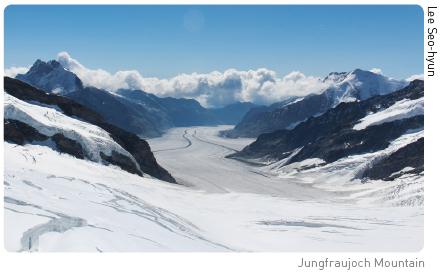 There are two ways to reach the station to the top of Mount Jungfraujoch, and each will take approximately two hours. One way is to pass through Grindelwald and the other way is by Lauterbrunnen. If you take the railway from Interlaken Ost or Interlaken West, you can choose to go up the mountain by whichever the station you want. Then from Grindelwald and Lauterbrunnen, you can take another railway that will lead you to the Jungfraujoch via Kleine Scheidegg. As with Mount Rigi, if you choose one way to go up, you can select the other way to go down. Mount Jungfraujoch is located in Interlaken, and it is Europe's highest-altitude railway station. Rising to 3,454 meters above sea level, at Jungfraujoch you can see panoramic views of the Swiss Alps, a United Nations Educational Scientific and Cultural Organization (UNESCO) World Heritage site. In addition to sightseeing you can also enjoy views of Sphinx, Aletsch Glacier, and the Ice Palace. You can also enjoy glacier hiking to the Monchsjoch Hut and experience the manufacturing procedure of the Swiss chocolate Lindt. Travelling to new places and having new experiences can be fulfilling. Delight can be obtained from not only big things but small things as well. Switzerland can help you cool off from the extreme heat of the summer of 2018.